At last month's planning and zoning meeting, commissioners rejected the Rivermount land use change saying it conflicted with the residential nature of the neighborhood citing its 4-story size and building placement approximately 10 feet from the homeowner east of the school. 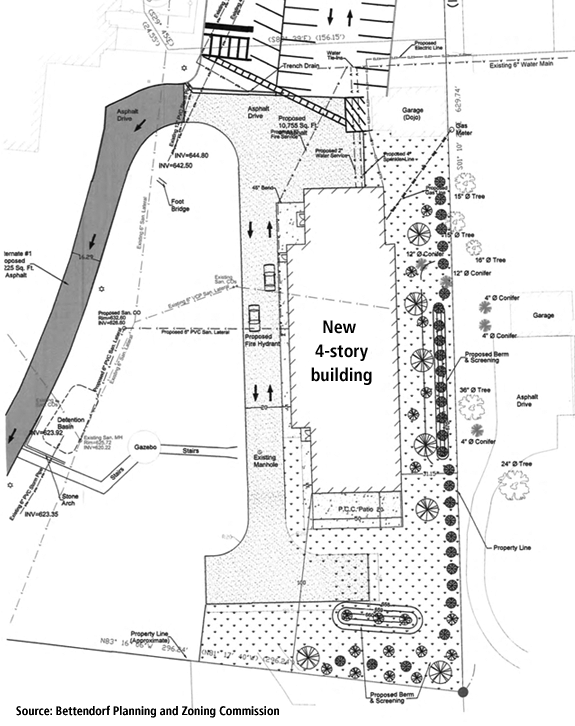 The new proposed design would move the building 30 feet from the east property line and shows a berm and landscaping along the property line to buffer the building from neighbors. City officials say their change in not requiring a land use or zoning change stems from their initial misunderstanding that the entire building was going to be for housing students. Half of the building will be for classrooms. The property is zoned for "urban-low intensity," which includes the previously used zoning classification of R-2, or single family residential. Rivermont is located at 18th Street and Mississippi Boulevard in the former Joseph Bettendorf mansion. The commission meets at 5:30 p.m. at city hall.